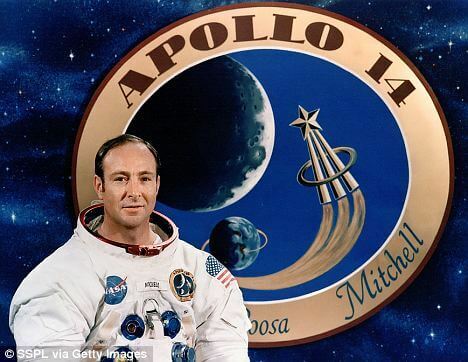 Dr. Edgar Mitchell, the sixth man to walk on the Moon during the Apollo project, recently appeared on a UK radio show where he claimed that aliens are real and that people at NASA has know this for many years. Radio DJ, Nick Margerisson, of Kerrang! Radio, could not believe his ears as Mitchell openly discussed the subject on his radio show on 22nd of July, 2008. Here is the complete transcript of the show. There is a link at the bottom of this article to a recording of the interview, and also of comments made by Nick Pope and a NASA spokesman about Mitchell’s claims. Nick Margerrison :Do you believe in life on other planets? N – You’re convinced that we’re not alone in the Universe? DM- Oh I know for sure that we’re not alone in the Universe. Now have we been able to identify for sure where the other planets are? No we have not. Certainly not in our Solar System. But they’ve identified quite a number of other planets now that very likely could be life bearing planets. And I’ve been very privileged enough to be in on the fact that we have been visited on this planet and the UFO phenomenon is real although it’s been covered up by governments for quite a long time. N – Woah. Hang on a minute this is big. Woah all this is quite a shock to me. DM – Well I’m sorry have you not been reading the papers recently, its starting to open up quite a bit. N – Well this is a lot of information to take on board. I’ve heard crazy UFO nuts tell me this kind of thing before, I’ve never had Dr Ed Mitchell – the sixth man to walk on the moon – a respected scientist in his own right announce to me that we’ve been visited by aliens from other planets and they’re definitely out there – there’s no debating it? DM – There’s more nonsense out there about this than real knowledge – but it is a real phenomenon and there’s quite a few of us – its been well covered up by all of our governments for the last 60 years or so but slowly its leaked out and some of us have been privileged to have been briefed on some of it. I happen to have grown up in Roswell in New Mexico where presumably the Roswell incident of 1947 took place and I’m quite knowledgeable about there since I grew up there but I’ve also been in military circles and intelligence circles that knows beneath the circles of what has been public knowledge that – yes we have been visited. DM – No I won’t say that. N – Wow. So you’ve been briefed on the fact that we’ve been visited? DM – Well briefed is one word for it. I have been involved in much of this work – now its not my main work, its not my main interest but I have been deeply involved in certain committees and certain research programmes with very credible scientists and intelligence people that do know the real inside story and I am not hesitant to talk about it. N – What is the real inside story? N – So are we in regular contact or was it a one off crash? DM – There’s quite a bit of contact going on. I can’t tell you because I don’t know all the inside details because that isn’t my main interest but the fact is that we have been visited, the Roswell crash was real and a number of other contacts have been real and ongoing. It’s pretty well known to those of us who has been briefed and been close to the subject matter. N – So why is it being covered up then? Why is it not mainstream? N – I’ve had people on the show telling me the governments are mounting up towards disclosure towards saying that this is the case. Do you think there will be an actual disclosure this year? DM – I don’t know whether it will be this year in the United States. But certainly we’ve already had it in the last few years from the Belgian government, the French government, the Brazilian government, the Mexican government. They’ve opened their files and admittedly had the files. N – Do you think we’re ramping up to the UK admitting? DM – Well I can’t say how fast it’s going to happen but certainly the public awareness is increasing, the public acceptance is increasing. The attempts to cover up seem to be decreasing, I think we’re heading toward real disclosure and there are some very serious organisations moving in that direction. N – What do you think the impact will be on the world when it is finally mainstream news that there are alien beings that live outside this planet? N – As part of you knowing about this and also going public with this, are you worried with your safety? N – What do you think the intent of the aliens is? Is it hostile or peaceful? DM – It’s not hostile. It’s pretty obvious that if it were hostile we’d have been gone by now. N- What do they look like? N – Do you think other people that were involved in the moon landings know about this? DM – Some of them do but again it’s like other people, If you’re interested enough to dig into it and want to know about it – you can know about it. DM – I’m glad you enjoyed it. UFO & Third Reich’s secret base in Antarctica NAZI!